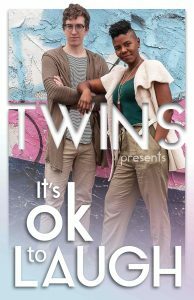 Shannon Stott and Quinn Buckner are ‘Twins’, an improv duo creating stories from a black woman’s perspective. As experienced improvisors they’ve seen the slow positive change on stages but they still often see stories told from a white man’s perspective. These stories happen by default and seemingly regardless of the actual demographic on stage. The non-white, non-men subconsciously or consciously do work to get on the same page. Twins asks the white man to do the work, on stage in front of you. They ask him to help present stories from a perspective not his own, specifically his partner’s, a black woman. Shannon Stott and Quinn Buckner have both individually been performing and teaching improv for over 10 years. Through improv they have also traveled around the world for festivals and performances. In Austin they are trying to foster a different perspective in improv via Twins.